Porcelain Dolls 18cm-29cm. 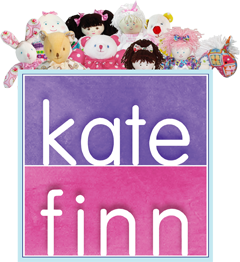 Kate Finn has now released her own collection for sale on the Kate Finn website. These dolls were the original samples used for photography and exhibition. Some dolls have pale yellow aging marks. Most of the dolls are in their original boxes. Due to aging in storage and travelling exhibitions, the boxes vary in condition. All Limited Edition dolls have a certificate.